Quantum vacuum fluctuations of the electromagnetic field in empty space seem not to produce observable effects over the motion of a charged test particle. However, when a change in the background vacuum state is implemented, as for instance when a conducting boundary is introduced, dispersions of the particle velocity may occur. As a consequence, besides the existence of classical effects due to the interaction between particle and boundary, there will be a quantum contribution to the motion of the particle whose magnitude depends on how fast the transition between the different vacuum states occurs. Here this issue is revisited and a smooth transition with a controllable switching time between the vacuum states of the system is implemented. Dispersions of the particle velocity in both, zero and finite temperature regimes are examined. More than just generalizing previous results for specific configurations, new effects are unveiled. Particularly, it is shown that the well known vacuum dominance reported to occur arbitrarily near the wall is a consequence of assumed idealizations. 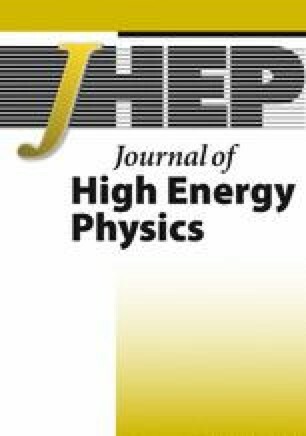 The use of a controllable switching enables us to conclude that thermal effects can be as important as, or even stronger than, vacuum effects arbitrarily near the wall. Additionally, the residual effect predicted to occur in the late time regime was here shown to be linked to the duration of the transition. In this sense, such effect is understood to be a sort of particle energy exchanging due to the vacuum state transition. Furthermore, in certain arrangements a sort of cooling effect over the motion of the particle can occur, i.e., the kinetic energy of the particle is lessen by a certain amount due to subvacuum quantum fluctuations. H. Yu and L.H. Ford, Vacuum fluctuations and Brownian motion of a charged test particle near a reflecting boundary, Phys. Rev. D 70 (2004) 065009 [quant-ph/0406122]. L.H. Ford, Stochastic spacetime and Brownian motion of test particles, Int. J. Theor. Phys. 44 (2005) 1753 [gr-qc/0501081] [INSPIRE]. H. Yu and J. Chen, Brownian motion of a charged test particle in vacuum between two conducting plates, Phys. Rev. D 70 (2004) 125006 [quant-ph/0412010] [INSPIRE]. V. Sopova and L.H. Ford, The energy density in the Casimir effect, Phys. Rev. D 66 (2002) 045026 [quant-ph/0204125] [INSPIRE]. V. Sopova and L.H. Ford, The electromagnetic field stress tensor between dielectric half-spaces, Phys. Rev. D 72 (2005) 033001 [quant-ph/0504143] [INSPIRE]. L.H. Ford and T.A. Roman, Restrictions on negative energy density in flat space-time, Phys. Rev. D 55 (1997) 2082 [gr-qc/9607003] [INSPIRE]. E.E. Flanagan, Quantum inequalities in two-dimensional Minkowski space-time, Phys. Rev. D 56 (1997) 4922 [gr-qc/9706006] [INSPIRE]. C.J. Fewster and S.P. Eveson, Bounds on negative energy densities in flat space-time, Phys. Rev. D 58 (1998) 084010 [gr-qc/9805024] [INSPIRE].